The poultry industry is crying foul over the apparent violation ofAgoatrade agreementsby the US, which has slapped increased tariffs on imports of steel and aluminium. SAs poultry industry, which has threatened court action against the government, is adamant that trade and industry minister Rob Davies has an obligation to suspend an arrangement for US chicken to enter the country duty-free. 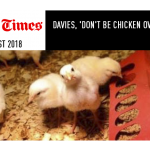 Marthinus Stander, chair of the SA Poultry Association’s broiler organisation, last week argued that conditions for Davies to take action were outlined in a Government Gazette and suggestedthat the minister was in breach of the gazetted agreement. “Davies seems to have acknowledged that the gazetted arrangement is quite clear in its intent. From this it should be clear that [he] is expected to act and write to minister Nene [finance minister Nhlanhla Nene], asking him to suspend the quota as SA has already lost some of its Agoa [African Growth and Opportunity Act] benefits,” said Stander . Agoa is under threat after President Donald Trump raised tariffs on steel and aluminium imports. The SA poultry industry is angry that some of the country’s steel and aluminium exports to the US have lost their duty-free access as a result. Three years ago, when Agoa was renewed, SA agreed to allow in 65,000 tons of US chicken duty-free per year as a quid pro quo for continued benefits for other industries under the programme. 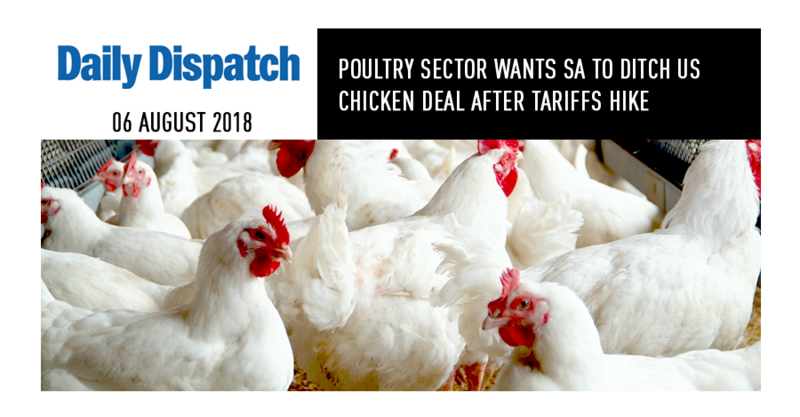 The poultry industry, which reluctantly agreed to the deal “for the greater good of SA”,now insists that Pretoria retaliate unless the steel and aluminium benefits are reinstated. Davies’ spokesperson, Sidwell Medupe, said the minister was awaiting the outcome of recent submissions for exemption from higher tariffs before acting. 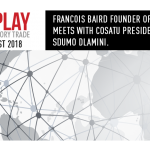 Francois Baird Founder of FairPlay, meets with COSATU President, Sdumo Dlamini.